Such options have long been needed, experts say, because 40- and 50-somethings are a complex group. Some have had several children and are willing to have sterilization surgery. Others may want children, but not right now. 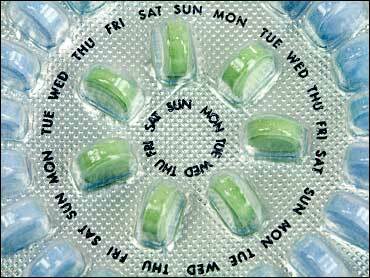 Traditionally, women 40 and older are the least likely to use birth control. Along with adolescents, they have the highest rates of abortion. At the same time, these women are more experienced at using contraception and follow instructions better. When it comes to contraceptives for women 40 and older, "one size definitely does not fit all," said Dr. Vanessa Cullins, vice president for medical affairs of the Planned Parenthood Federation of America. A review of the current science of contraception and women 40 and older was published recently in the New England Journal of Medicine. The author, University of Florida gynecologist Dr. Andrew Kaunitz, noted that the risk of dangerous blood clots rises sharply at age 40 for women who take birth control pills containing estrogen. The risk is even greater for overweight women, who also are more likely to have high blood pressure and diabetes. But the dosage of estrogen in current birth control pills has been dramatically reduced. The pill is now considered a safe alternative for lean, healthy, older women Kaunitz and other experts said. "It may not be well known that the current low-dose formulations are a reasonable option for healthy women in their 40s," said Dr. JoAnn Manson, a Harvard endocrinologist who wrote a book on menopausal hormone therapy. The pill may be preferable for some women, because it can help control irregular menstrual bleeding and hot flashes and has been shown to reduce hip fractures and ovarian cancer, wrote Kaunitz. He has received fees or grants from several companies that make oral contraceptives. But middle-aged women who are obese, smoke, have migraines, high blood pressure or certain other risk factors should be steered toward IUDs or progestin-only treatments like "mini-pills," experts said. Higher breast cancer rates have been reported in older women who took estrogen-progestin pills for menopause. However, studies did not find an increased breast cancer risk in women 35 and older who took oral contraceptives. The most common form of contraception for women 40 and older continues to be sterilization - a category that counts tubal ligations (tube-tying) in women as well as vasectomies in their male partners. Increasingly, gynecologists are offering a newer type of tubal ligation that is nonsurgical. The procedure, called Essure, was approved by the government in 2002. Instead of cutting through the abdomen to cut and tie the fallopian tubes, a doctor works through the cervix, using a thin tube to thread small devices into each fallopian tube. These cause scarring, which in about three months plugs the tubes, stopping eggs from the ovaries from reaching the uterus. Also relatively new is a product called Implanon, approved by the government in 2006. It's a matchstick-sized plastic rod, placed under the skin of the upper arm, that is a more modern cousin of Norplant and can last about three years. "Things have definitely changed. There are a lot more options for older women than there used to be," said Dr. Erika Banks, director of gynecology at New York City's Montefiore Medical Center. Choosing the right contraception can be a bit of an odyssey, said Lisa Riley, a 44-year-old who works in Banks' medical practice. Last week, Riley got a new IUD. When she was younger, she took the pill. It worked, but she stopped it to have kids - twins - in 1993. She was nervous about returning to the pill because of worries about a possible cancer risk. For about a year, she and her husband used condoms, but he got tired of that, Riley said. She had friends on IUDs so she chose that option. It worked well for several years until it began to cause heavy menstrual bleeding. After Banks advised her to get a new one, she chose Mirena, a version that releases hormones and should last for five years. For now, Riley doesn't plan any more children. But she wasn't ready for sterilization. "It's too permanent for me," she said.